Nikki talks to us about being an indie country artist, opening for Chris Janson, and her dedication to our troops. 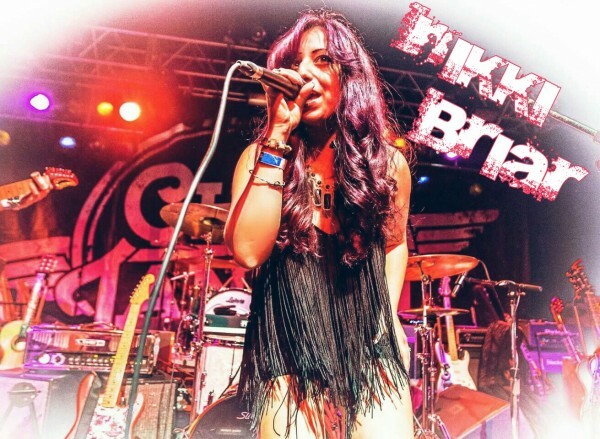 Nikki Briar has performed in venues large and small, from Nashville to Jersey. We recently had the chance to talk with Nikki to get to know her and her story a little better. TCS: Hey Nikki, thank you so much for chatting with us today. To start off, we gotta ask you about that recent show at Starland Ballroom where you opened for Chris Janson. NB: That was our second time performing at the Starland Ballroom and I love it there. The first time was opening for BlackBerry Smoke and now Chris Janson. It was a sold out concert and a fun night! There is no better feeling seeing so many familiar faces in the crowd and even better is when they sing along to my originals like Jersey Girl, Big Red Truck, and Country Thang. Chris and his band were fantastic and it was awesome to hang out with them prior to the show as well. TCS: He sure has had an amazing year. So looking back, you’ve opened for some amazing country headliners – does anyone stand out as the most memorable? NB: It’s been quite an amazing journey and yes I have been blessed to perform with some amazing national acts. I absolutely loved performing with Parmalee, they were just so much fun and sweet! They even offered to help us bring some of our equipment inside the concert venue! Performing at Taste Of Country in NY and opening for Tim McGraw was monumental, it was amazing and they treated us so well there. I’ve enjoyed every concert and have just truly been blessed, it’s all thanks to my amazingly supportive fans who come to the concerts and follow us. A lot has happened in a short period time and I look forward to what the future brings and the concerts to come. TCS: Monumental is definitely an appropriate way to describe opening for Tim! What’s the biggest stage you’ve performed on so far and what was that like? NB: Taste Of Country was a pretty huge experience and definitely kicked up my music career alot. I enjoy touring and performing out of state, aside from the concerts I have done I really enjoyed performing at the Silver Dollar Saloon in Nashville, TN. It’s a beautiful stage and venue in the heart of downtown Nashville, it was a performance for a radio station and it was a great night. As much as I enjoy performing to crowds of hundreds and thousands, performing at the legendary and intimate Blue Bird Cafe in TN was also a check off the bucket list. I got to perform 3 songs in the venue where Garth Brooks and other legends sang, I look forward to returning there in the fall. TCS: That’s very cool – The BlueBird is such an iconic venue. I read that your husband serves in the military – tell us about how that has had an impact on who you are as a country artist. NB: Being an army wife has been the most influential part of my country music career. I sing the national anthem professionally for various events and military ceremonies and if it weren’t for me singing the anthem at one of his events, I may not be where I am today. It’s literally the “being at the right place at the right time” situation that jumpstarted my fate as a country artist. I dedicate my current 3 albums to our veterans and my goal is to perform overseas for our troops. At every performance, we thank our vets and dedicate a song in their honor. Being an army wife is one of the many stories that I have and I love to share it and I appreciate the letters and emails from other army wives who can relate. It means so much to receive a “thanks” from a fan who feels like a song was written for them. My first single A Soldier’s Princess written with my friend Mike Kuhl in Nashville really helped me illustrate my feelings of being an army wife into a song and once it made it on the radio, I knew God had a plan for me. My husband is my rock and motivation. He always told me to do it and do it big and he always showed true faith in me, even in times when I got down on myself. I am blessed to have found my soul mate. We don’t hold each other back from anything. He has devoted his life to serve his country and I could not be more proud of him as he is of me. TCS: That’s so amazing – love hearing that. Please let your husband know how thankful we all are for his service. Speaking of song writing, tell us about your process – do you write alone or with others? What do you draw from when coming up with lyrics? NB: There are several songs I have written on my own and many talented writers I have collaborated with and continue to do so. It’s tough putting an album together and cutting songs when we have so many great ones, but an album can’t be 30 songs long! I never stop writing, even with the new album currently out Free From The Demon, I am already writing songs and getting songs pitched to me for my next single that we will record this fall in Nashville. It never ends. My song Big Red Truck off my new album was written in about 15 minutes while sitting in my truck on a beautiful night, windows down, listening to country music. My guitarist, Paul Baccash, helped me get the melody on that song and now fans sing it at every show which is an amazing feeling. I get inspired by random times, as I observe life in a deeper way. I can take someone else’s experiences to write a song or my own special moments can encourage the song to unfold. I’ve also been asked to write songs in dedication of people or events so I will do some research prior to that assignment to gain knowledge of the topic. TCS: Free From The Demon is being released on iTunes soon – what can fans expect from this album? NB: I’m very excited for fans to hear Free From The Demon. Many fans got a taste of the new album because of preorders and from the CD Release Party on February 27th at Brother Jimmy’s in NYC, so fans that bought the cd also got free downloads for the March 22nd iTunes release. Four songs on the album are fun and sassy songs about life, trucks, relationships and being independent. The bonus song Man’s Best Friend is about war dogs and is dedicated to the War Dog Association through Heart Songs for Veterans. TCS: What a great idea, and another example of your commitment to supporting our troops. How would you say you’ve developed as an artist since you first started? What changes have you noticed? NB: There have been changes and consistencies. I have grown as a songwriter and gained more strength in areas that were new to me. Growing up with parents that were musicians and a life of performing had many benefits. I’ve always been comfortable on stage and expressing myself through music. After my first album, I adopted more of the country rock style which is what my second albums consist of. As an artist, you have to be willing to be flexible and yet be consistent at the same time, it’s a fun challenge. TCS: I bet. Are there any artists that you look to as a role model? Anyone who has had a strong impact on your career? NB: Throughout my life, there have been so many musical influences that have led me to my own style. I grew up on Whitney Houston, I had her vinyl records as a child and I admired her strong vocals and soulful music. Once I started playing guitar, I started singing and playing Shania Twain, Leann Rimes and Garth Brooks and was able to incorporate all these styles of music I grew up on into my own style of country rock and blues. I would not have been exposed to so much music if it weren’t for my family; they are the biggest impact on my musical style. My father was a touring jazz/Motown drummer and my mom was a classical piano player, my uncle who taught me guitar was an incredible jazz guitarist and my life literally revolved around music. Everything from Frank Sinatra to Michael Jackson would be heard from our house and it really had made me appreciate everything music has to offer. There are times I take a break from country music and just listen to jazz – my husband and I enjoy going to the Blue Note Jazz Club in NYC. TCS: Having that kind of support and encouragement from your family must have been wonderful and really speaks to who you are as an artist. I read that you perform over 220 shows a year – wow! What’s it like maintaining that kind of schedule? Is it a challenge being able to find balance with everything else in your life? NB: The biggest thing is that I wish time would just slow down! When we are on the road a lot and constantly in “go mode”, there are so many moments that I wish I could just hit the pause button to enjoy a little longer. It’s very exciting to travel and do as much as we do, from radio tours to concerts and recording sessions, but when we get a night off I really enjoy being lazy with our fur babies and family. This is exactly what God wanted me to do, embrace my musical career and make people happy through my music and it is such a joy to live it out instead of just imagine “what if”. I’ve never been addicted to anything but this could quite possibly be an addiction for me! I love being on stage and meeting fans, I have just been blessed to do it as much as I do it with my incredibly talented band. 2015 was an incredible year and 2016 has had a great start; I take it day by day but look forward to what the future holds. TSCS: That’s a great perspective. As an indie female artist, what are some struggles/ hurdles you encounter and how do you address them? NB: There’s no reward without struggle and challenges and I have embraced them. I have very thick skin and being in the music business for so many years, I know what to expect and what not to wait for. I have been fortunate to work with amazing agencies, producers and venues but I have had my fair share of trial and errors as well. In anything you do there is a struggle and that’s part of the gain and the story. I went to college and got my master’s in education and music and the struggles were real in college but I look back now and see what an amazing gain I got from it all and would do it all over again. As a female artist in country music that is an obstacle that I have embraced and have been ready for. 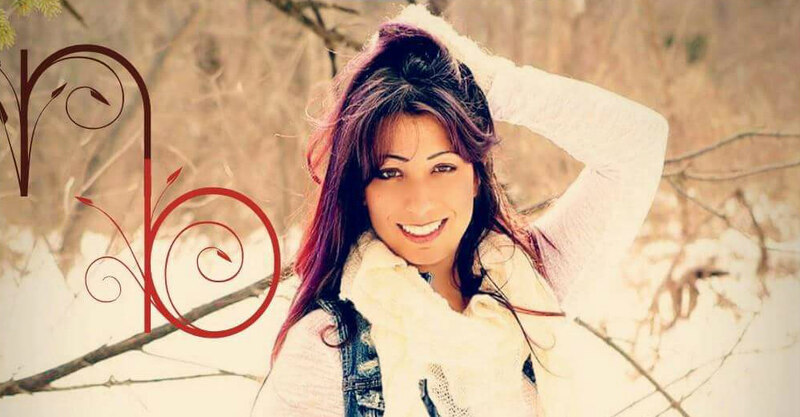 I’m not a quitter and I think that’s why I have gotten as far as I have as an indie artist. It’s a great feeling hearing my songs on the radio and being asked to open for national acts. I take it day by day but enjoy planning for the future and being ready for any obstacles that come my way. TCS: No question you bring a ton of strength in everything you do and a real passion for music. So what’s it been like performing country music for audiences in NJ/NYC? NB: It’s been very inviting actually. When I perform out of state people still have a hard time believing I am a Jersey girl so there seems to just be a stigma of the NY/NJ area not being “country” enough when in fact, it is! The country radio stations in our area have been very supportive and have grown in numbers as have the concerts and ticket sales. The Chris Janson concert I just did was sold out as were the concerts I did with LoCash, Blackberry Smoke, Parmalee, and others. Although I tour out of state a lot, there is much of NJ and NY to see! We enjoy performing in NYC and upstate NY and of course playing all over my home state of NJ, especially the Jersey shore. My fans have nicknamed me The Garden State Cowgirl and I loved it so much that I trademarked that name because it does define who I am. I am a proud Jersey country girl and it feels great knowing there is buzz about that and that people know who I am. TCS: So true about country music fans in this area – there are a ton of us! As a fan yourself, what are you listening to these days – anyone you have on repeat right now? NB: I’m loving Tim McGraw’s new album. His new song Humble And Kind is gorgeous and I look forward to covering it. I’m always listening to Kenny Chesney and whatever is on the Highway Sirius Radio. TCS: That song is incredible – Lori McKenna is such a talented song writer. I actually read the other day that Tim is putting out a book inspired by the song. So last question – what are a few things that you’d like people to know about you – to really get know who you are? NB: I’m pretty transparent, especially with my friends, family and fans. Most people know how passionate I am in everything I do. I am a big animal activist and I live a vegan/vegetarian life. I would love to have a rescue farm someday. I want people to also know that I do what I do for them. Entertainment is for the people, for the fans, as much as it is fulfilling for me. It makes me feel wonderful seeing people dancing and singing along whether at a music festival, benefit concert, bar or concert venue. I graciously thank my amazing fans and family and my incredible husband, Angelo, for simply believing in me and following me in this adventure. TCS: Well we’re really looking forward to following your adventure! Can’t thank you enough for taking the time to talk with us Nikki! Head over to NikkiBriar.com for all the latest news, show updates and merch!